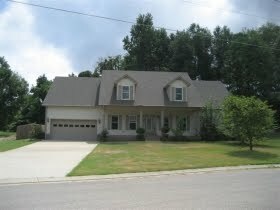 There is a new Fannie Mae foreclosure in Dyersburg,Tn. Actually it is not new but just listed by a different company at a reduced price. It was listed by a real estate agent in Milan, then auctioned off(but Fannie Mae did not approve the winning bid $156,000) so now Randy Lankford has it listed at $199,900. This 5 bedroom 4 bath has lots of room including a 2 car garage.If you would like to view this house then make an offer, please call me at 731-589-7841. Update: 09/14/10This property has now been taken away from lankford and will be put in a bulk auction where they bundle several properties together(from all over the country) and sell to the highest bidder. This high bidder in turn will then turn around and list the individual properties with a Realtor to again sell. So, please come back here as I will keep the status updated and more than likely I will still be able to sell you this property.